Happy Birthday may be one of the most sung songs in the world. Once a year each individual has a birthday and the song sung to them at least once, if not more. According to the 1998 Guinness World Record, this song is the most recognized song in the English Language. 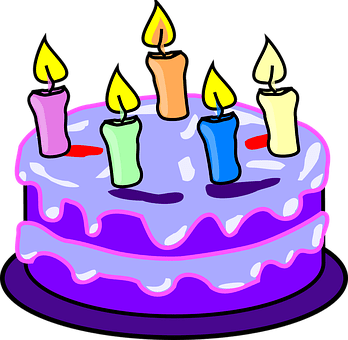 The melody to Happy Birthday comes from the song, Good Morning to All, which is believed to have been written by sisters Patty Hill and Mildred J. Hill. The sisters wrote Good Morning to All as a song that young children would be able to easily sing. Patty Hill was a teacher and wanted a song for her children to sing. In 1893, years after the song is said to be written, it was published in the songbook Song Stories for the Kindergarten. It is believed that the lyrics were changed to Happy Birthday to celebrate birthdays in the classroom. The first known printed version of Happy Birthday to You appeared in 1912. It is believed the song had been orally passed around before it appeared in print. In 1924, the lyrics for both Good Morning to All and Happy Birthday to You were printed in The American Hymnal. In 1935, The Summy Company registered a copyright for Happy Birthday to You. The Warner/Chappell Music Company purchased the copyright in 1988. In 2015, a federal judge declared the copyright claim to be invalid. In May 1962, Marilyn Monroe sang the most famous rendition of the song to U.S. President John F. Kennedy. On June 28, 2016, the final settlement was officially granted and the court declared that the song was in the public domain. Who was the last person you sang Happy Birthday to?